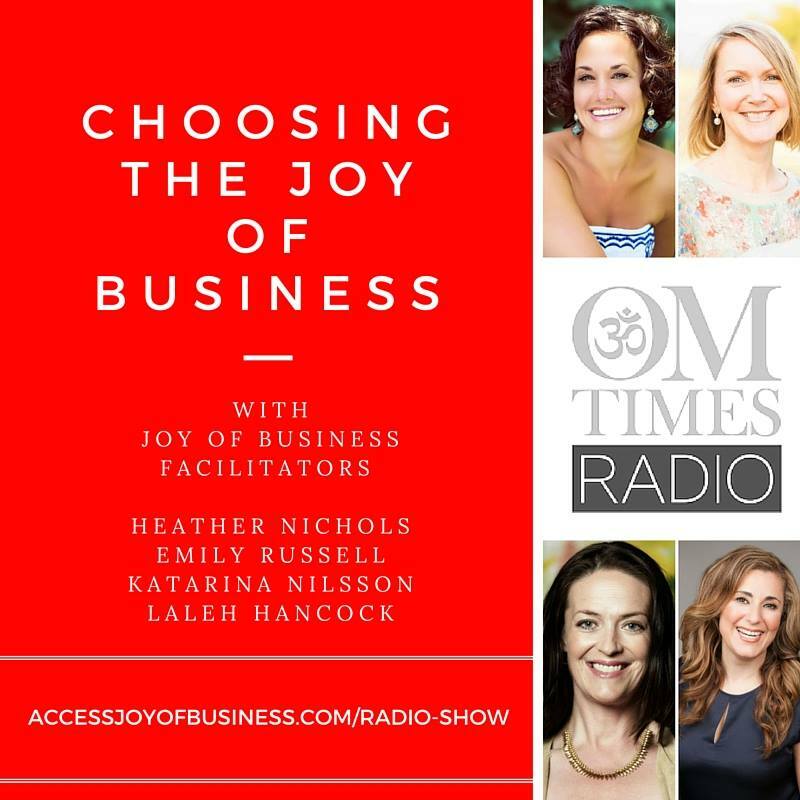 Join these 4 amazing entrepreneurs and Joy of Business Certified Facilitators, Emily Russell, Heather Nichols, Laleh Hancock, and Katarina Nilsson, as they discuss the willingness and choice to have fun in business. How much fun and joy are you willing to have and choose creating your business and your life? What can joy contribute to you and your business? Are you willing to have fun with your business, or have you decided that you are more likely to succeed if you are serious? When you approach your job and/or your business as a choice, not something you have to do, then the joy of it can begin to show up! When you are having the adventure of living and creating, so much more possibility, ease, and success is available to you! Don’t miss this episode full of tips to create more fun, ease, play, and dare we say it – JOY, in business!